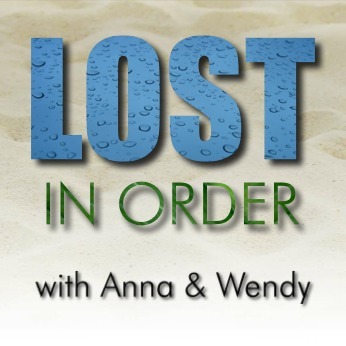 Anna and Wendy discuss episode 42 of Chronologically LOST, Episode 042 – November 4 2004 (day 44), featuring Rousseau’s warning, the raft launch, and a trip to the Black Rock. Podcast length 1 hr 13 min. 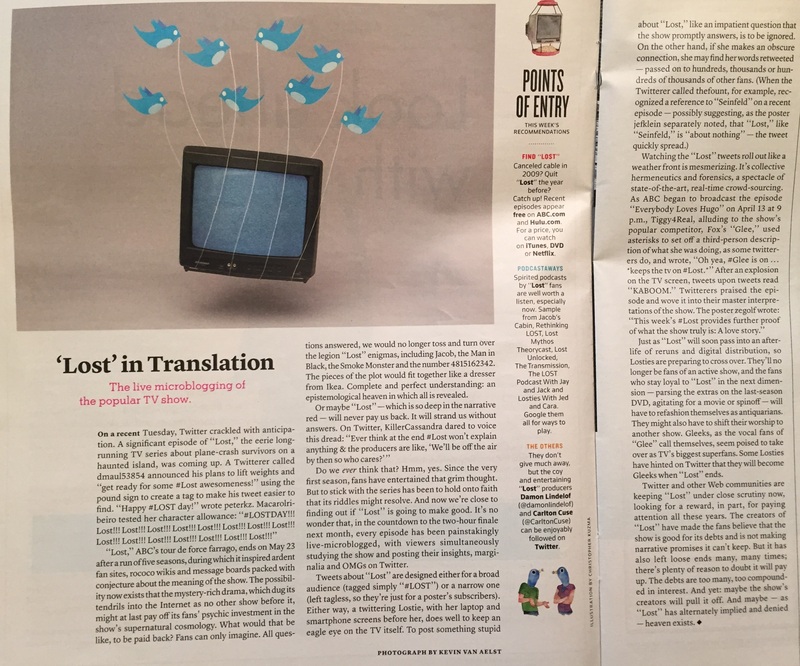 Never Let It Fade Away: LOST in Translation – a brief article from April 25 2010 about the LOST fanbase on twitter, with suggestions to help viewers get into the LOST online community – including a mention of Anna’s previous LOST podcast, along with many others! Anna and Wendy discuss episode 41 of Chronologically LOST, Episode 041 – November 2-3 2004 (day 42-43), featuring Boone’s funeral and the aftermath with John Locke, and the raft nearing completion. Podcast length 1 hr 15 min. Anna and Wendy discuss episode 40 of Chronologically LOST, Episode 040 – November 1 2004 (day 41), featuring Jack’s attempts to save Boone’s life, Sayid and Shannon enjoying a private picnic, Desmond picking up Our Mutual Friend, Claire giving birth, and Locke banging on the hatch. Podcast length 1 hr 15 min. Anna and Wendy discuss episode 39 of Chronologically LOST, Episode 039 – October 27-November 1 2004 (days 36-41), featuring an emotional encounter between Hurley and Rousseau, Juliet’s discovery of Goodwin’s demise, Locke’s trebuchet, dream, and loss of feeling in his legs, Sawyer’s reading glasses, the Tailies on the radio with Boone, and Boone’s fall in the beechcraft. Podcast length 1 hr 17 min.